MEMPHIS, TN (WMC) - Facing enormous financial shortfalls, the Catholic Diocese of Memphis will close 10 schools after the 2018-19 school year. The Diocese said a charter school network will apply to re-open the locations. One mother said she's shocked by the news. "It broke my heart because I've been a Catholic mom for years," Brandy Bell said. "It will be an honor that Tyson, you know, his last year, he'll be the last class, so it's bittersweet," Bell said. 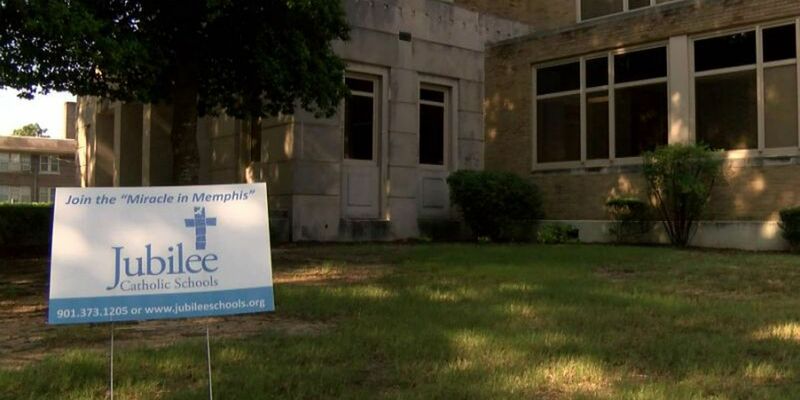 The Catholic Diocese of Memphis publicized their decision Tuesday to close the Jubilee Schools. The diocese said it was spending about a million dollars a year out of a trust fund to keep each school running. Families paid what they could for their students to attend, and the fund was running low. "That was part of the landscape that created this need for us to close the schools," Vince Higgins of the Catholic Diocese of Memphis said. Mary McDonald was a superintendent who, in 1999, opened the previously closed Catholic schools to educate Memphis's urban youth. "Memphis should be very proud of what's been accomplished here -- what they did here has been done all over the country," McDonald said. The Jubilee School effort has been nationally dubbed as the Miracle in Memphis. McDonald, who left the schools six years ago, said she's sad but joyful that a difference was made. "That education will live in the hearts and minds and lives of those students for generations to come and the impact of this will last forever," McDonald said. The diocese said a charter network is expected to apply for approval to run the schools after the diocese steps away, but the operator will not be announced until Feb. 1. Even after that time, the schools will have to remove any symbols of faith, and they won't be connected to the diocese in any way. In addition to the Jubilee Schools, the diocese also announced St. Michael School will also close.